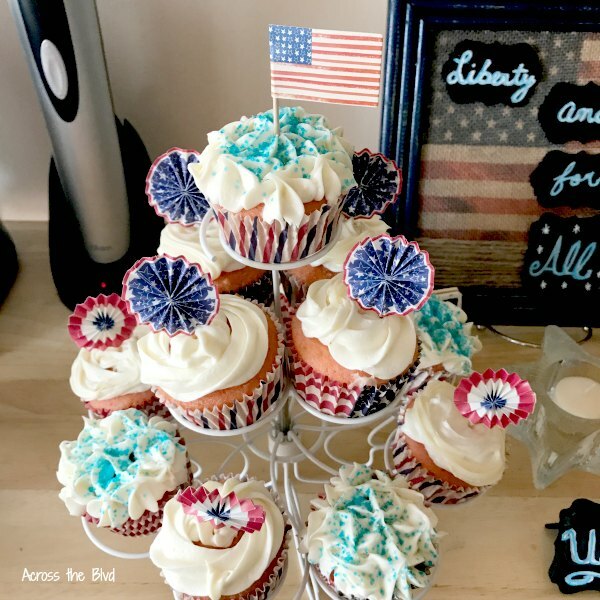 A 4th of July Party isn’t complete without cupcakes! These Strawberry Cupcakes with Cream Cheese Frosting are a hit anytime. Add some red, white, and blue and they are a perfect addition to a dessert buffet for your party. Starting with a basic white cake mix means these cupcakes are easy to make. It’s the add ins that make them tasty. Strawberry gelatin and frozen strawberries enhance the cake mix. Combine cake mix and gelatin in large mixing bowl. Add pureed strawberries, milk, butter, eggs, and vanilla extract to dry mixture. Bake for 20 minutes or until wooden toothpick comes out clean. Allow butter and cream cheese to soften. Cream butter and cream cheese in large mixing bowl. Add sugar, 1/2 cup at a time to mixture. Beat on medium to blend. Add vanilla extract and continue to beat on medium for 1 minute. If the frosting is too thick, add a small amount of milk and mix. If it's too thin, add more powdered sugar and mix. Add frosting to piping bag and generously frost each cupcake. I don’t follow the directions on the box. Using milk instead of water, adding an additional egg, adding some vanilla extract, and using butter instead of oil makes any box mix taste more like a from scratch cake. I used frozen strawberries for these cupcakes, but you can use fresh ones instead. Make sure they are very ripe and hull them before they are pureed. 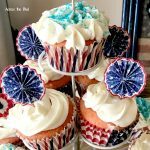 Cupcake liners with a patriotic pattern and some patriotic picks give the cupcakes a festive look. I added some sprinkles on top of a few of them, too. 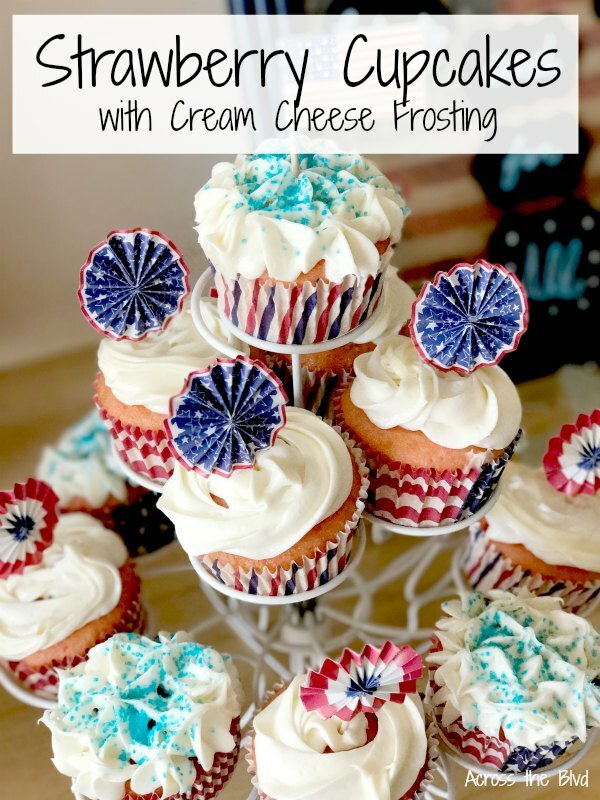 Are you hosting a 4th of July Party this year? These look festive and yummy! Pinned. Thanks, Debbee! I appreciate the pin! These are so pretty for July the 4th. I think it’s a great idea to use a cake mix and add flavorings. I need to start playing with that idea. Thanks, Leanna! It’s amazing how much better you can make a cake mix taste with the right add ins. Beautiful cupcakes. 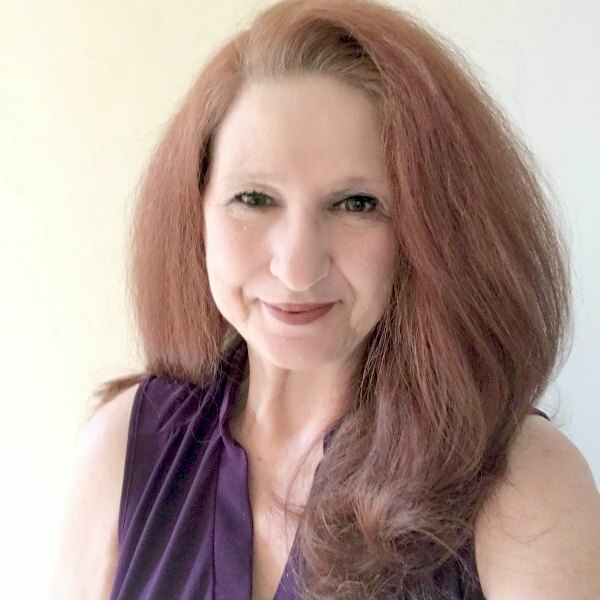 I would love come to your independence day party! thank you for sharing at over the moon. Thank you, Amy! The more the merrier! Beautiful – and so festive! Thanks for sharing at the What’s for Dinner party – have a great rest of the week. Thanks, Helen and thanks for the party. Hope you have a wonderful weekend. These look so festive and tasty! Thanks so much for sharing at TFT! 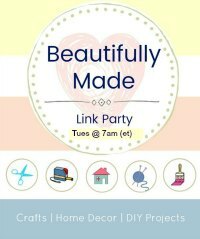 I am hosting a patriotic Link Party on Saturday-July 4th and I would love for you to come over and link up any patriotic themed posts. Have a great weekend and holiday ahead! Thank you, Amber. I’ll be sure to stop by your patriotic party. Hope you have a wonderful weekend. Patriotic and delicious. 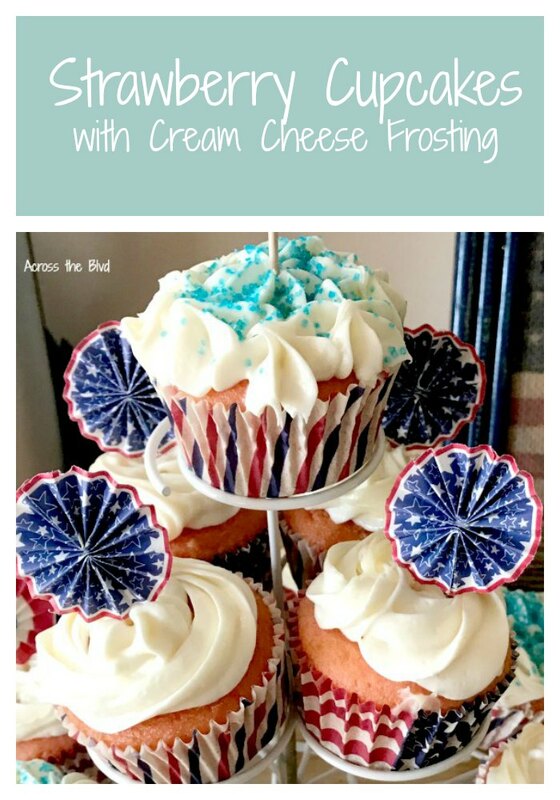 Great dessert idea for the 4th. Thanks for sharing on Sunday’s Best. Thanks, Rhonda and thanks for the party! Yum. Cupcakes are one of my favorite desserts because it’s just the right size and the flavor possibilities are endless. Pinned. Cupcakes are always a hit at our house, too. Thanks for pinning! Your 4th of July cupcakes are adorable. It’s always nice to take a mix and doctor it up. Love those 4th of July drinks too. Thanks for sharing them at my parties. 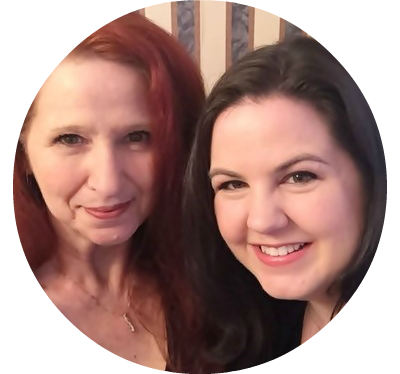 Your cupcakes are my feature pick this week at Wonderful wednesday blog hop. Thanks, so much, Bev! Starting with a mix does save some time. Thanks so much for the feature. Happy 4th! Hope you have a fun day! These sound so yummy! Thanks so much for sharing with us at the Summer Time Fun Party. Pinned.